Lemon flavoured drink with organic Agave syrup and Guaranà, with added Vitamin C.
Energy salt supplement based on carbohydrates. The mix of sugars at different assimilation intensity ensures a balanced and continous supply during the performance. 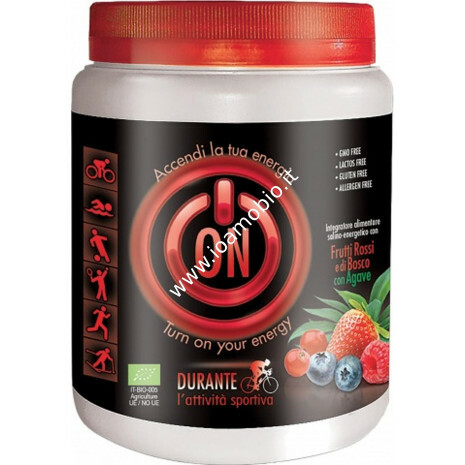 Energy salt supplement based on carbohydrates. The mix of sugars at different assimilation intensity ensures a balanced and continous supply during the performance. The agave contributes to joint function and the body's natural defenses. 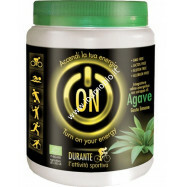 Guaranà acts as tonic and metabolic stimulation, contributing to the lipid metabolism. The high percentage of sodium, support the salt loss due to perspiration, the main reason for cramping during the excercises. The lemon flavor gives a pleasant and refreshing taste. 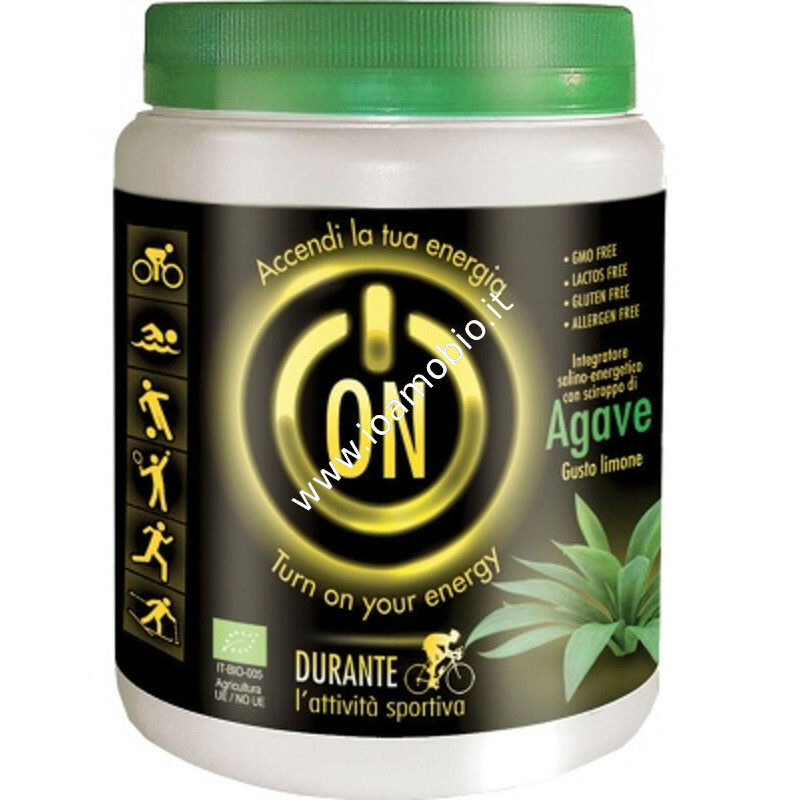 maize glucose*, maize maltodextrin*, agave syrup* 22%, Himalayan pink salt, acidity regulator: citric acid, guaranà extract* 2,64%, natural lemon flavouring, Vitamin C (L-Ascorbic Acid). * From organic EU/Non EU agricolture. Contains caffeine (250mg per 100g = 75mg per 30g). Not recommended for children or pregnant or breast-feeding women.